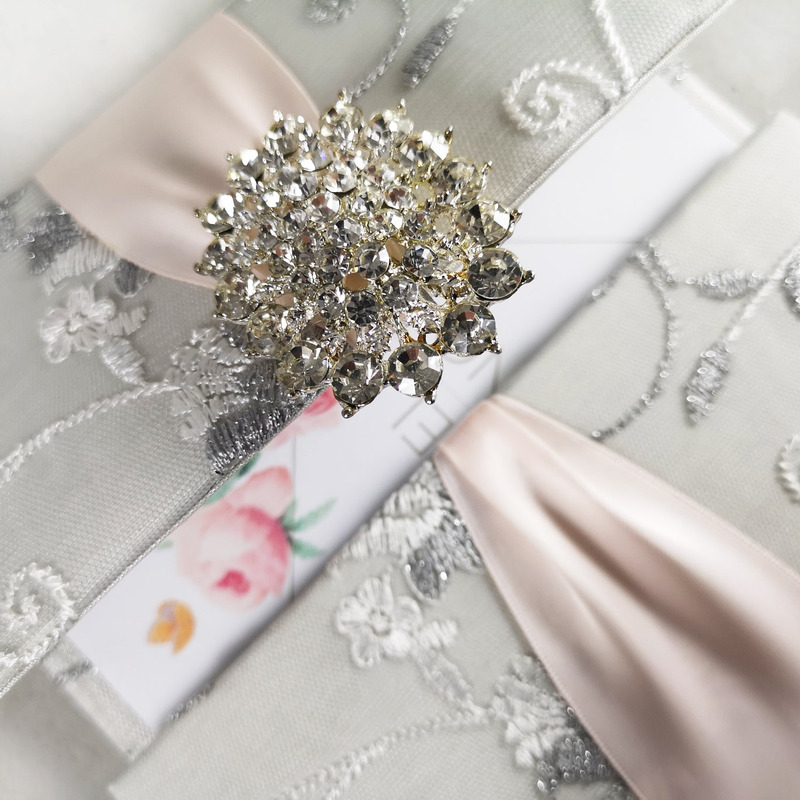 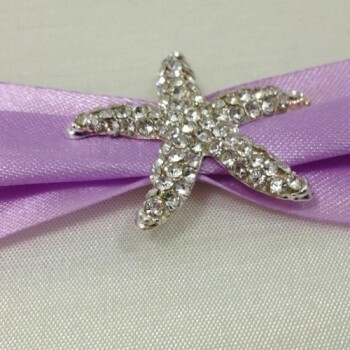 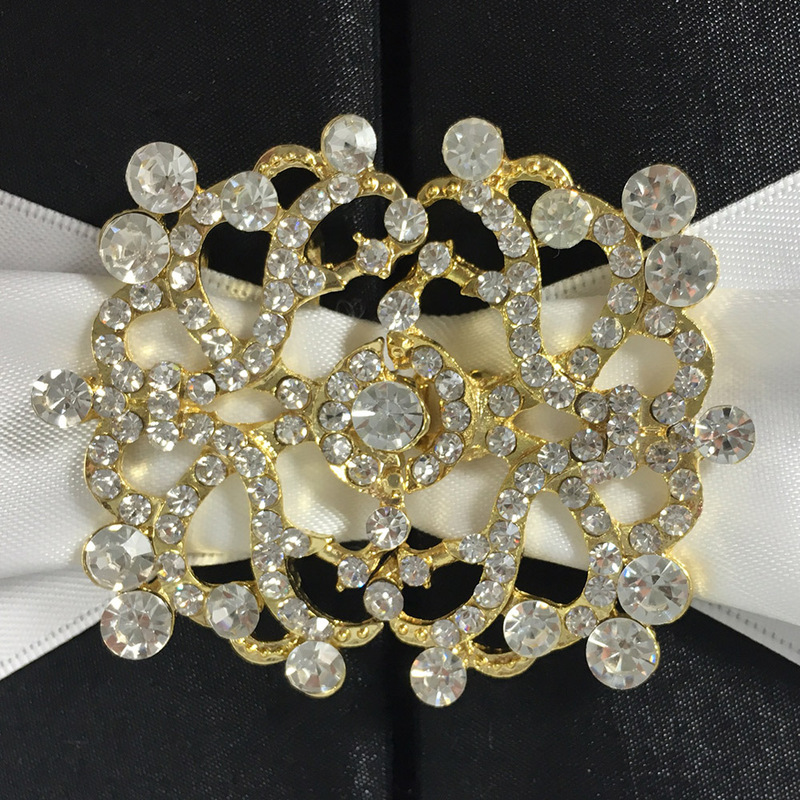 This silk box was designed with a light orchid double faced two inches wide satin ribbon, embellished with a approximately 3×3 cm starfish brooch and covered with our ivory faux silk. 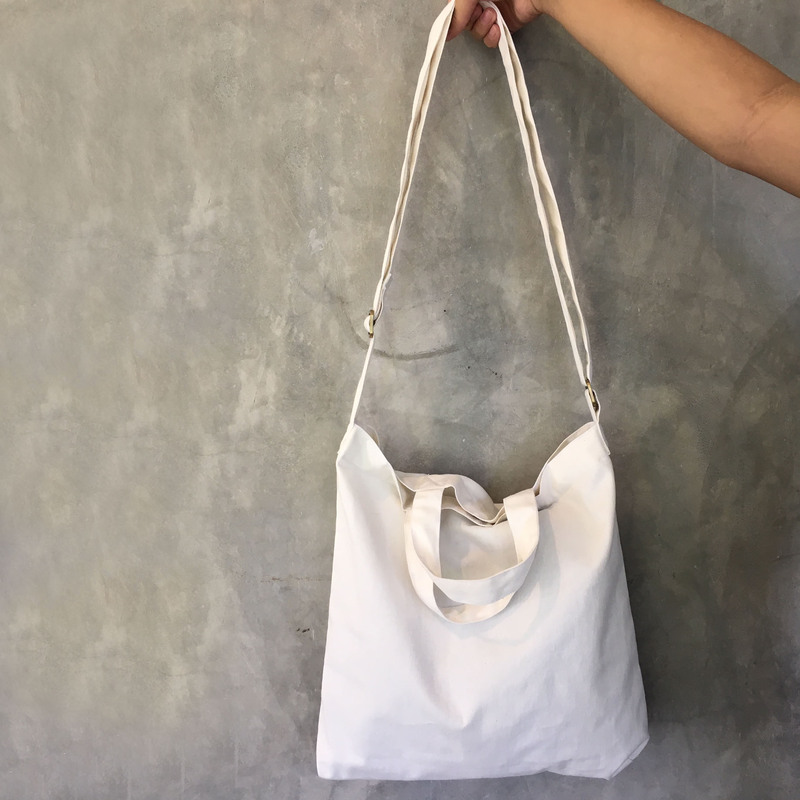 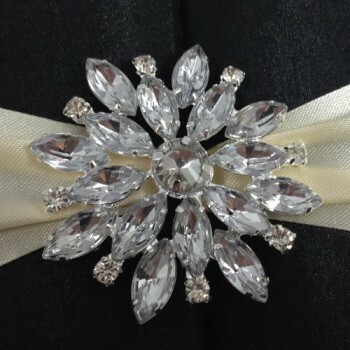 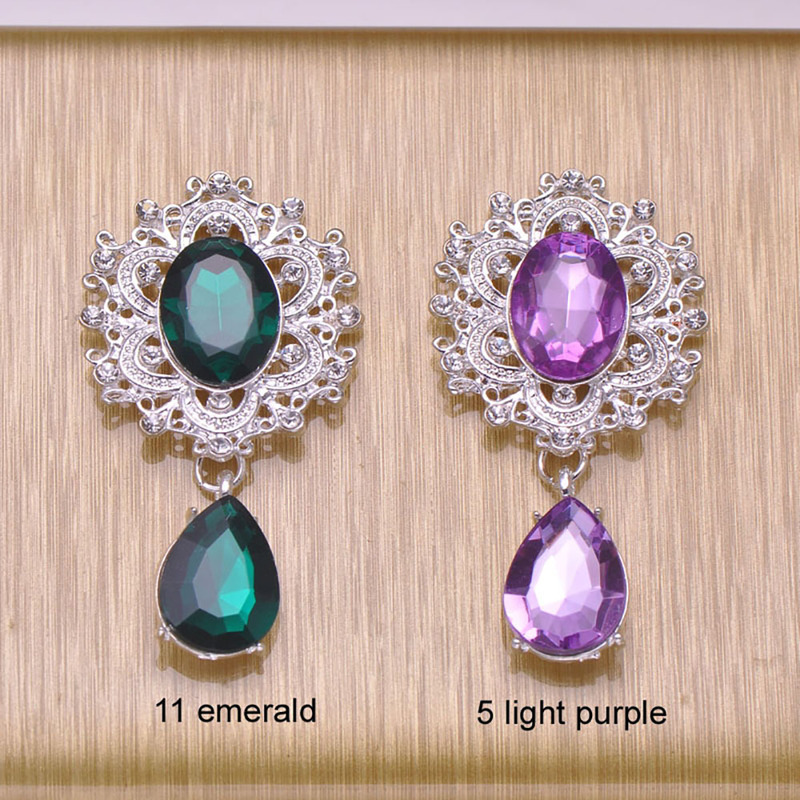 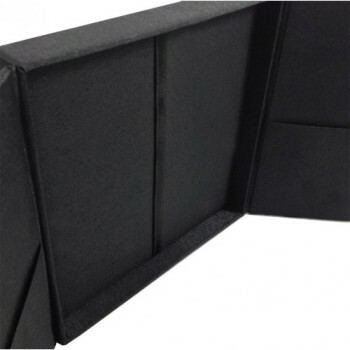 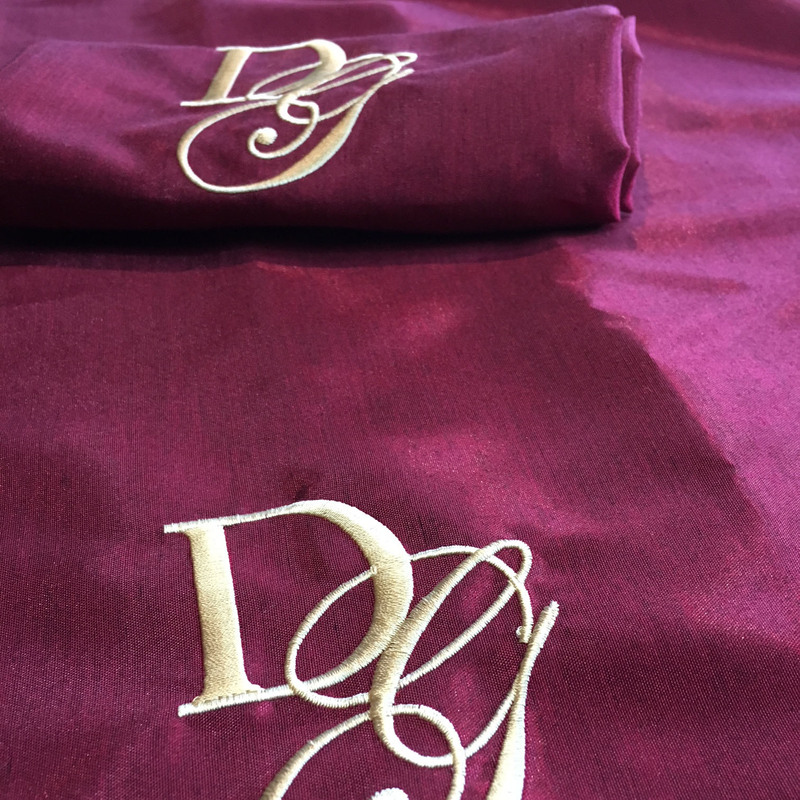 Hand-made quality product available for wholesale orders. 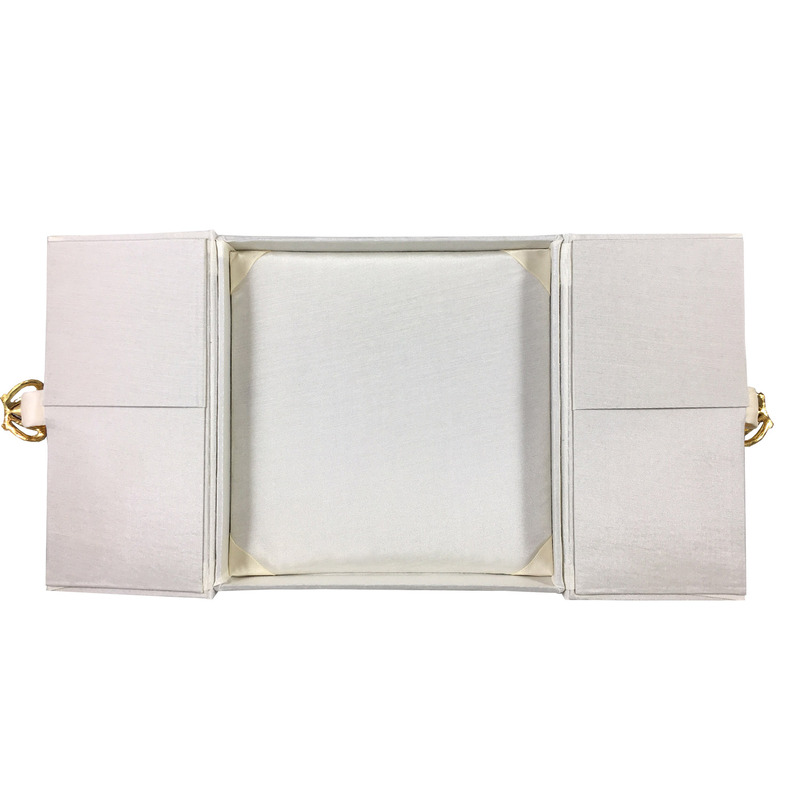 Behind the lid we have added a small 2 inches high pocket. 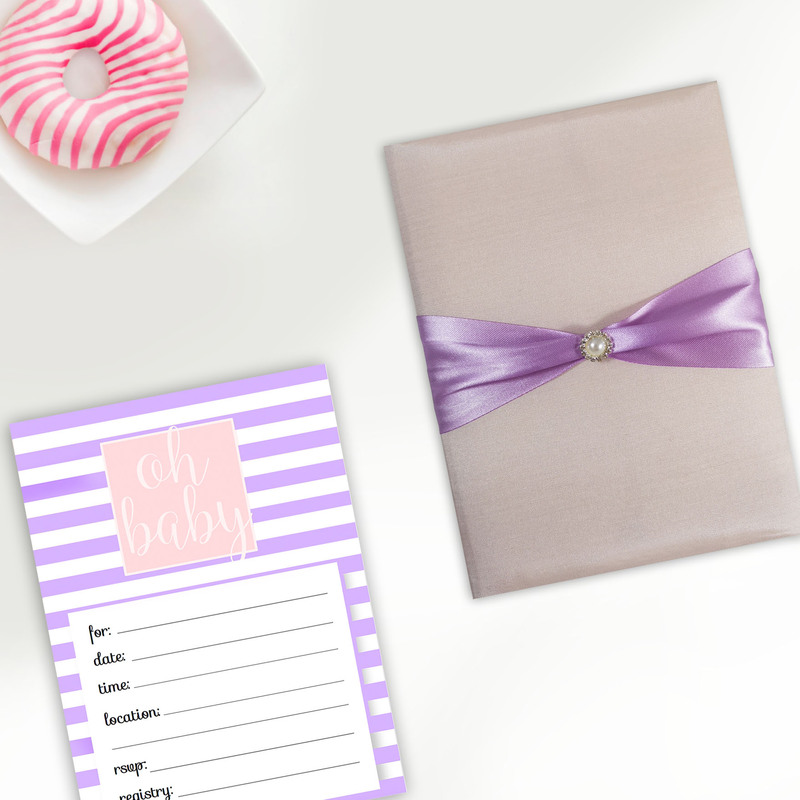 The bottom was left plain with padding so that the main invitation card could be also glued onto the padded bottom. 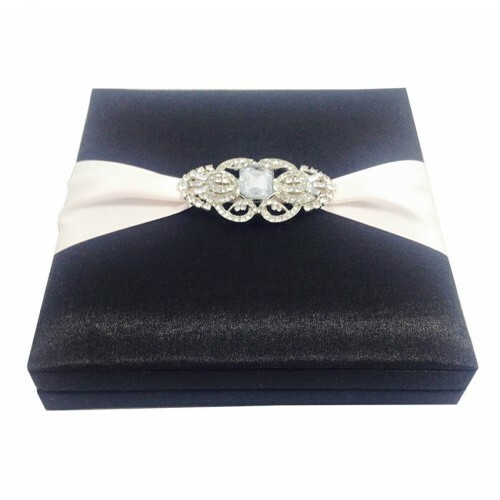 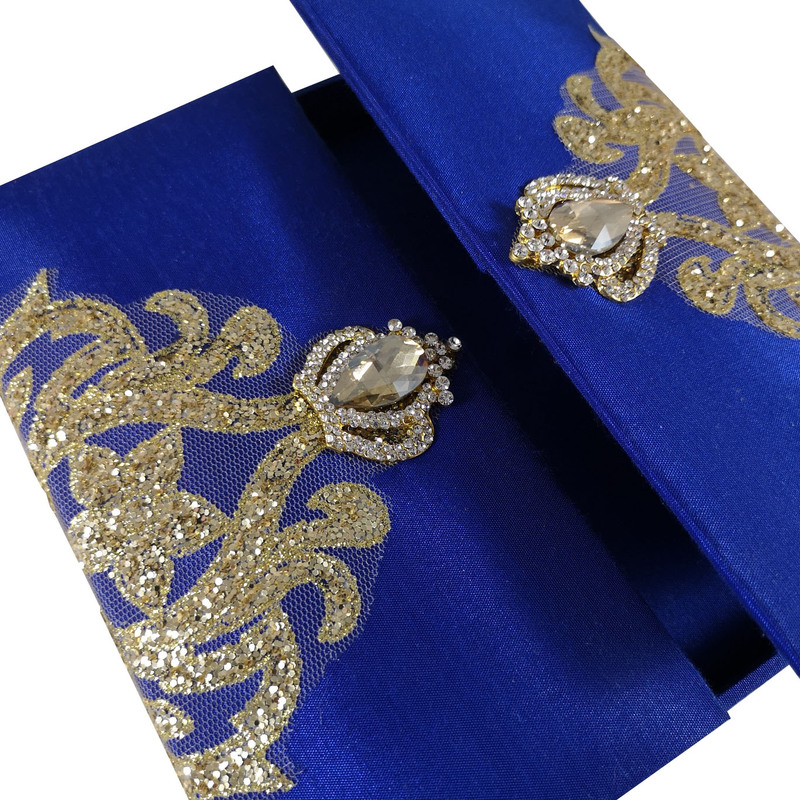 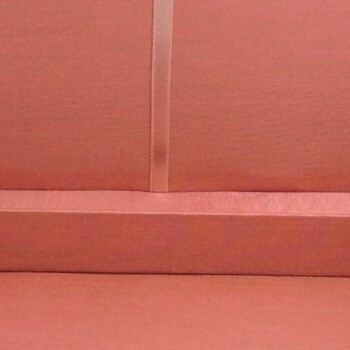 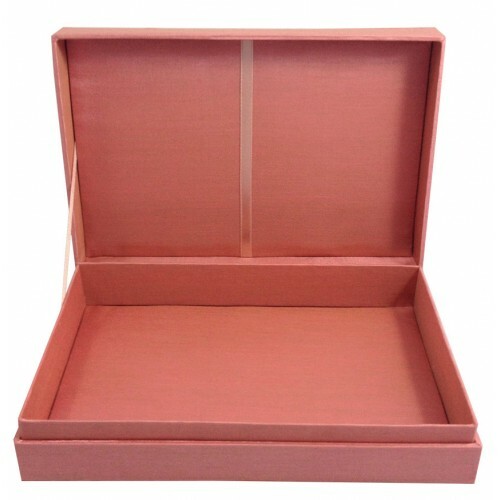 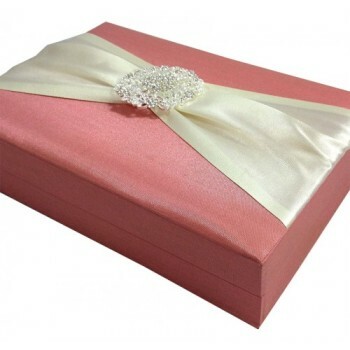 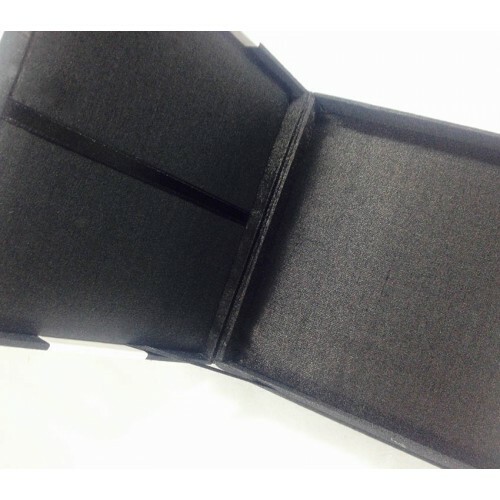 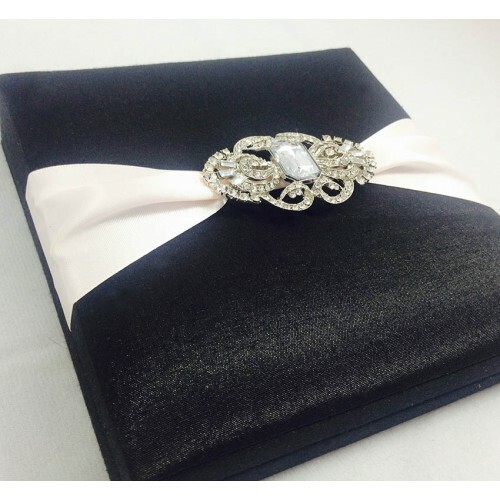 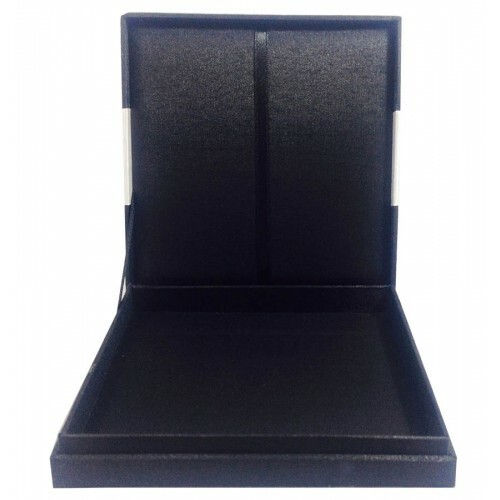 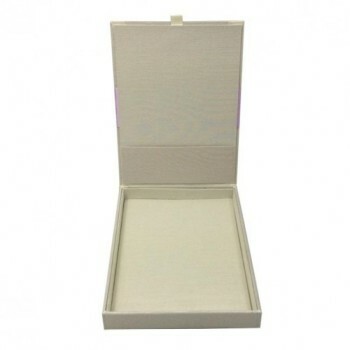 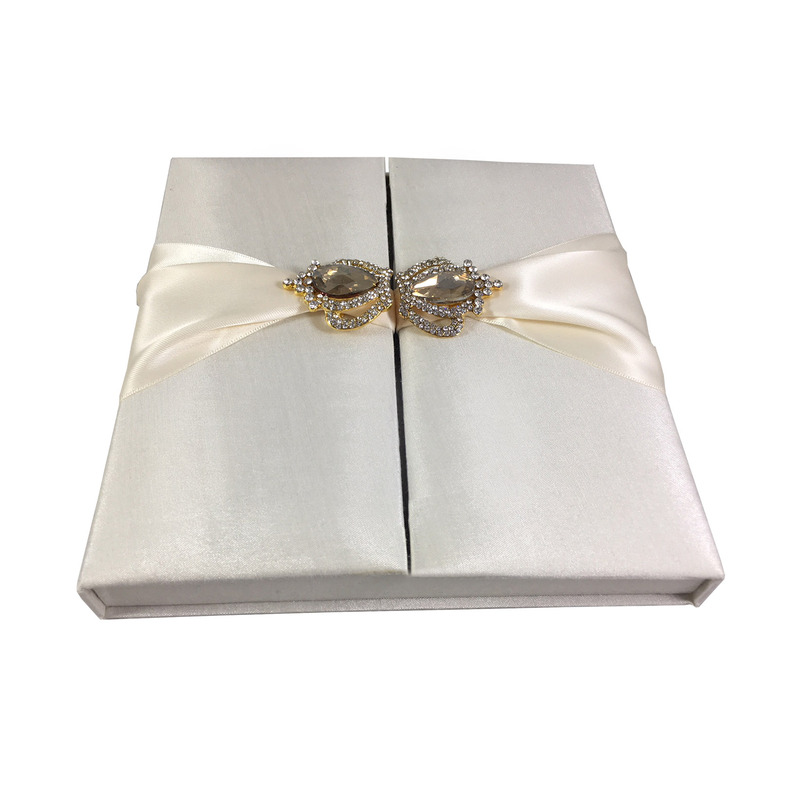 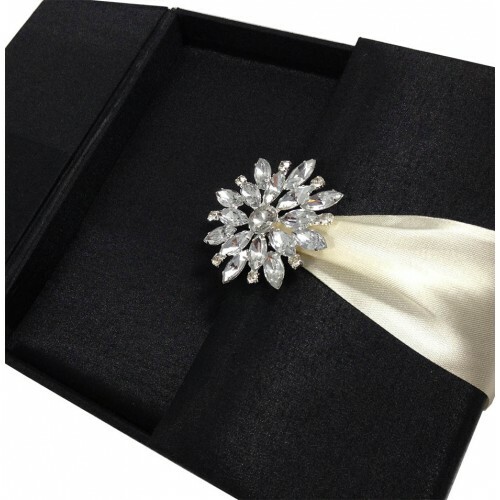 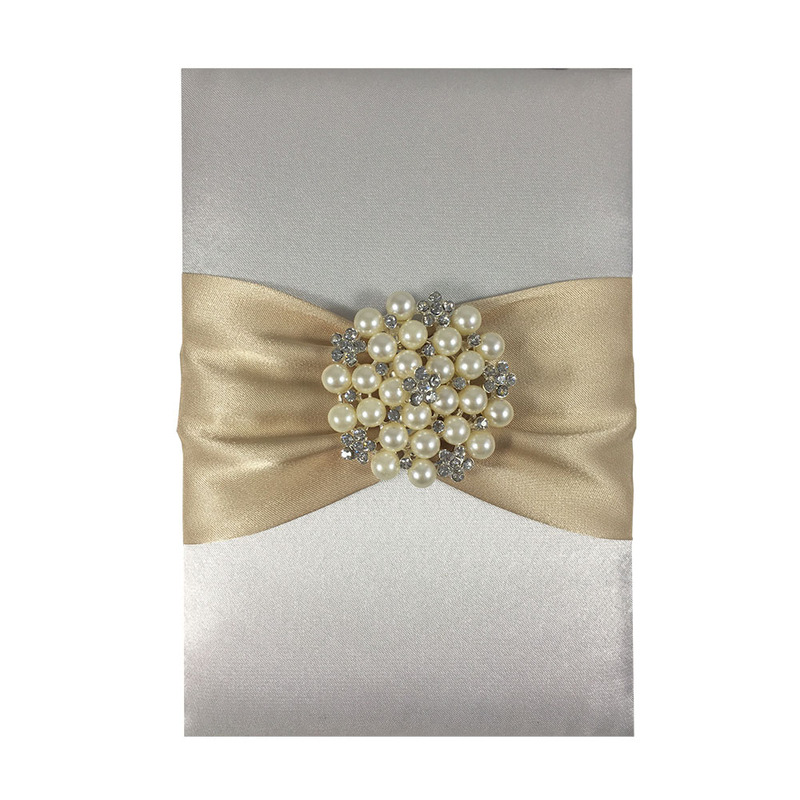 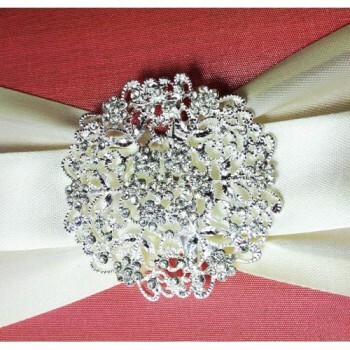 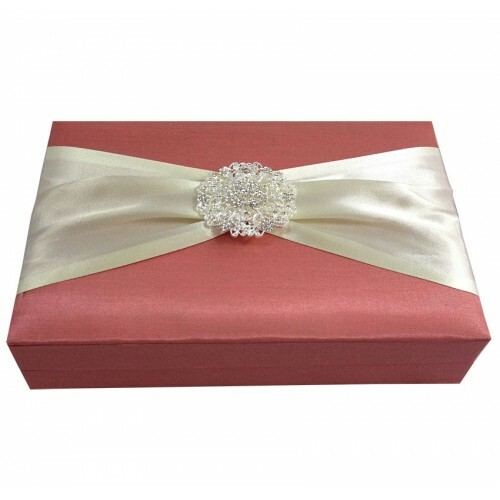 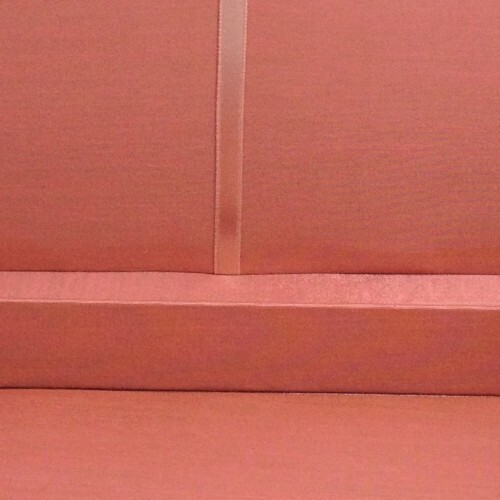 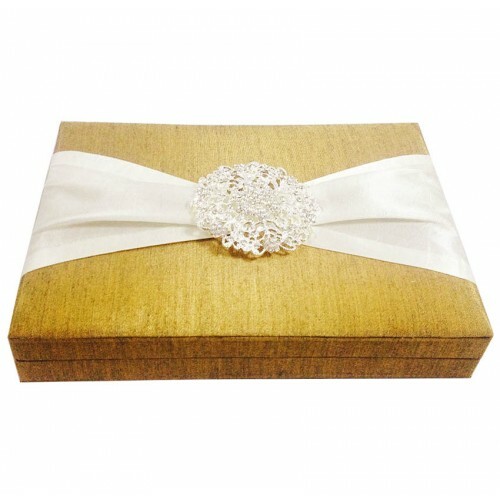 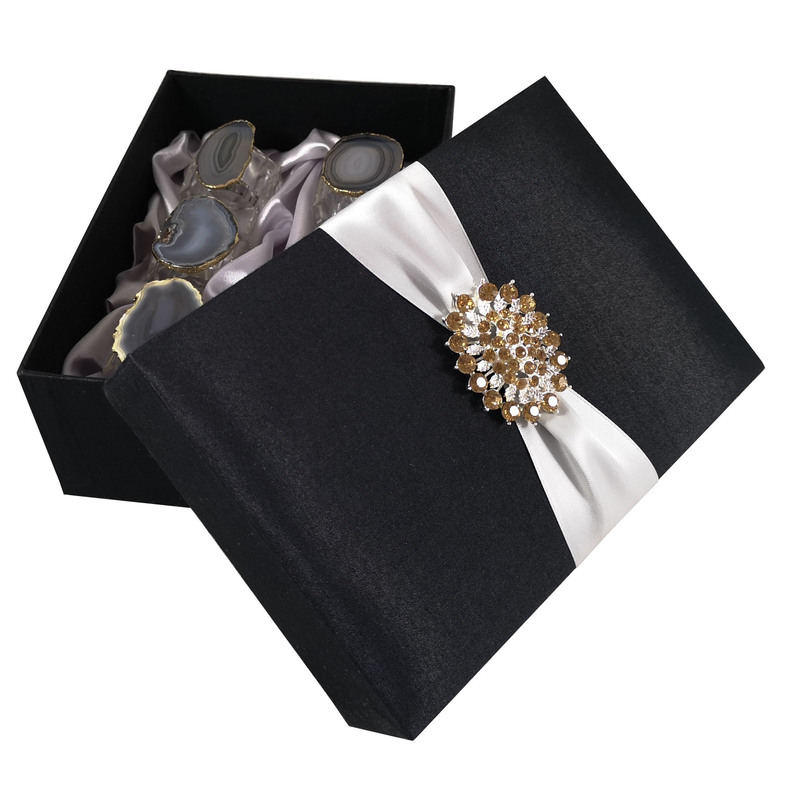 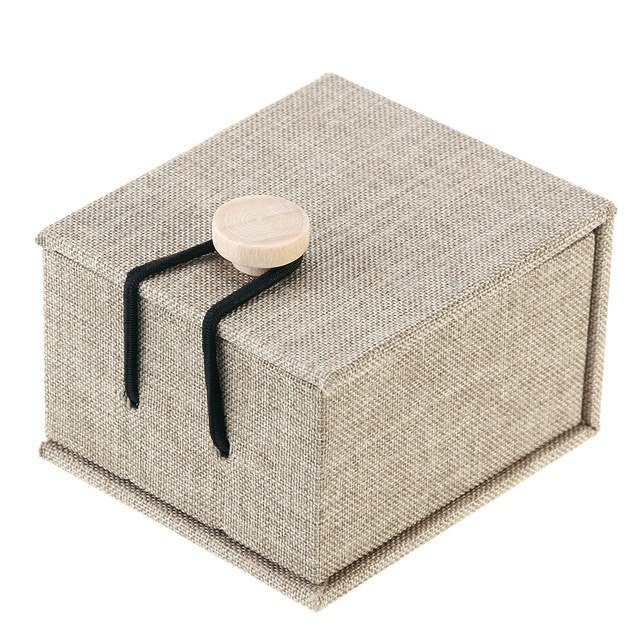 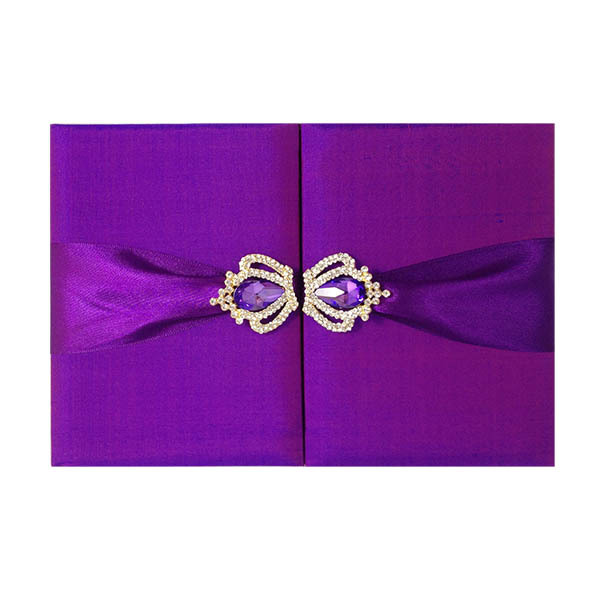 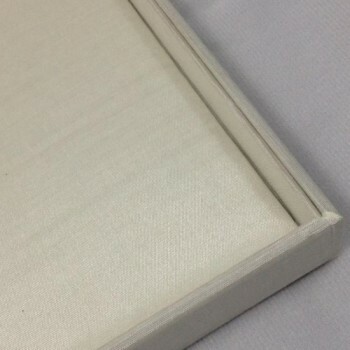 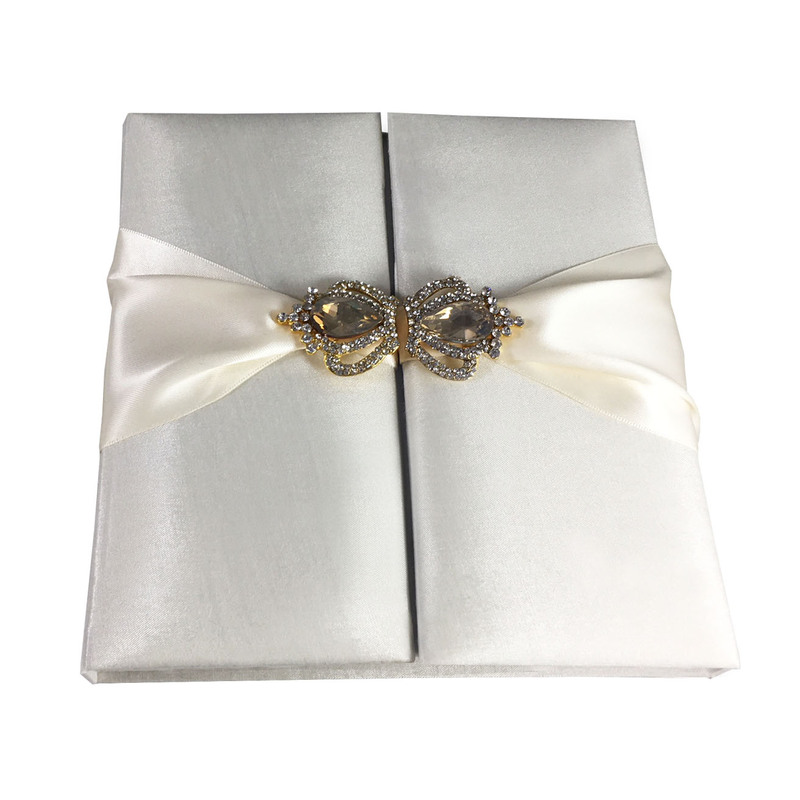 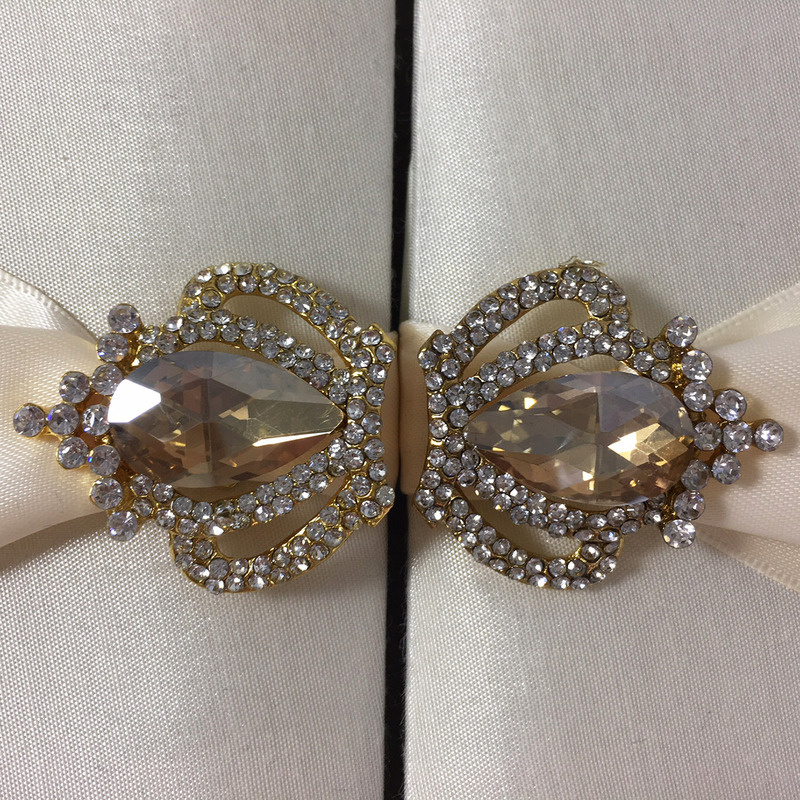 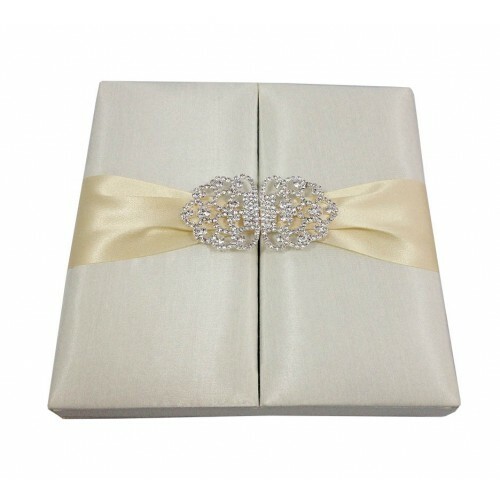 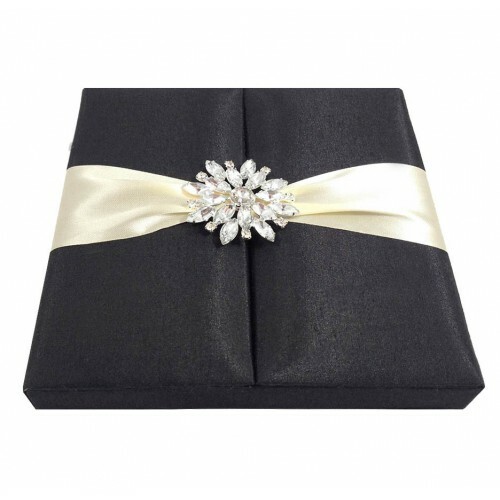 This box is of course avalable in all colors and looks also great in aqua blue color silk with a white color ribbon. Samples can be shippied to you via DHL express after 1-2 days.